In the age of biased news and propaganda being pushed by mainstream media, CuriousIndian, is a not for profit platform for sharing and propagation of unbiased and free views. We publish reports, essays, articles, reportage and poems. We encourage anyone interested in publishing their articles on this platform. We may not be able to pay you but we’ll ensure wide visibility to your articles and complete freedom to express your views. 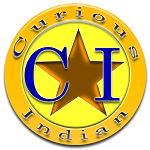 If you have any interesting content that you want to publish on this site, you can send your content to admin@curiousindian.com .We’ll give the contributor due credit and publish the contribution with changes, if required. Articles typically run from 400 to 1,200 words, but submissions of any length will be considered. All submissions must be original, and written by contributor. We will not consider articles that have already been published, in any form, in print or online. Article should not level baseless accusations against any person, group or community. Article should not encourage or incite hatred in any form against any person, group or community. There is an incubation period of one month, If you want to contribute on a regular basis. Post one month of regular submissions, we’ll set up an author’s login with a gravatar and identity. The article is reviewed for relevance, originality, legal and publication guidelines. A confirmation mail is sent to contributor before publication.